Wi-fi at hotels can get expensive and you don’t always spend your time in your room working away. You’re out and about at a conference or going from meeting to meeting. Trying to find an Internet cafe can prove to be a nightmare sometimes and when you do, there isn’t a seat available for you to sit and do a bit of work. Did you know that most smart phones these days have the option of a wi-fi hotspot or connect to the internet via usb? You also don’t want to do your work on your smart phone or a tablet. It takes too long to type and doesn’t offer the same tools or programs as your lap top. Quite often your service provider has phone data packages that are much cheaper than the rates the hotels offer. What I do when I travel is something called tethering. I connect my phone with a cable to my laptop and with the new data package I bought just for this trip, (yes you can buy extra data for a month and aren’t stuck with the higher data package rate all of the time) I have full internet access from my phone to my laptop and can work on any project for a client. So matter where I am I can work on my clients projects, go on Skype to talk to family or other clients. 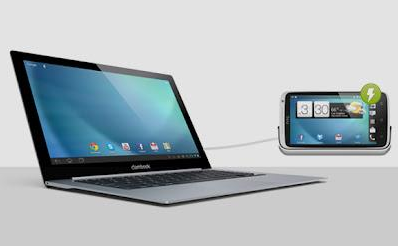 The other option is Portable WiFi Hotspot– Wirelessly connects your laptop to your Android smart phone so the laptop can access the internet. The advantage is no cable is required. The disadvantage is that it uses a lot of your phone battery, so how long you can use it depends on the charge level of your phone battery when you start. I use the cable for obvious reasons, I don’t want to drain my smart phone battery. So as long as I have cell service, I’m hooked up and ready to go. It’s also convenient when meeting with a client anywhere that may not have wi-fi, this way I don’t have to search for a modem to plug into. Often it’s not easily accessible and we look pretty silly crawling around looking for it. Pretty slick idea isn’t it. With the monthly add on package, it is good for exactly that, one month and automatically cancels after the month is over so I don’t have to worry about canceling it and being billed the extra amount and not using it. If I’m traveling longer or leave again just before it expires I go online to the service provider’s website and add more data in just a few minutes. An alternative option to investigate is a prepaid mobile broadband device. How do you access the internet when you’re traveling? Do you tether from your phone and how has that worked for you? Making your business life easier and more productive is what we do. Contact us today and become more productive by hiring a virtual marketing assistant. Next postWhat Happens To Your Google Accounts After You Die.